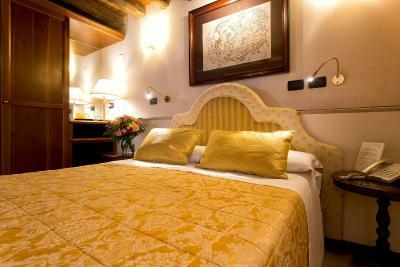 Lock in a great price for Ca' San Giorgio B&B – rated 9.4 by recent guests! Anna Lisa at reception was very helpful with information about the hotel and directions. I overhead other guests raving about how helpful she was over a very late night check-in. 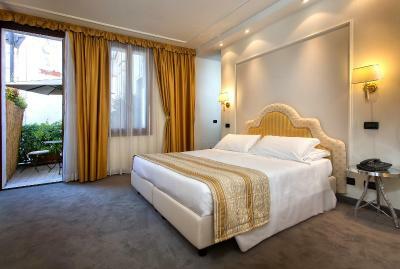 One of my favorite rooms in our two week adventure in Italy! Our room was large, aunthentic, clean and felt luxurious. 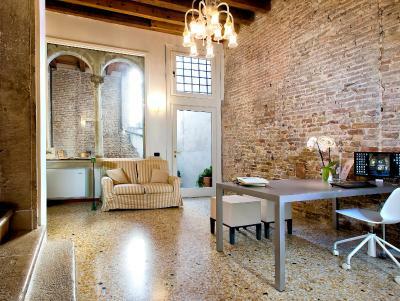 In this historical building, we really felt like we had gone back 100’s of years ago, but with all the modern perks. 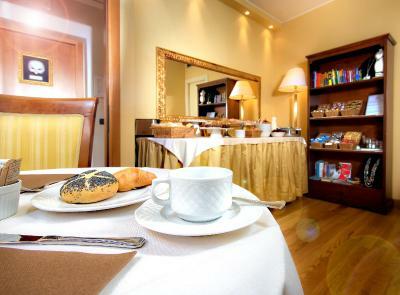 The breakfast room was such a nice way to start the day. We especially liked that this hotel was off the beaten path and very quiet. 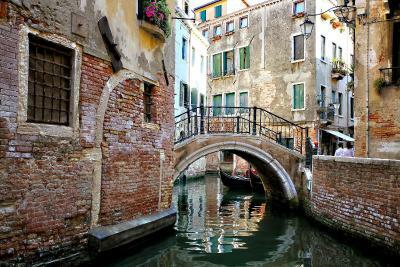 It was lovely to escape the crowds and enjoy a quieter side of Venice and some delicious restaurants. 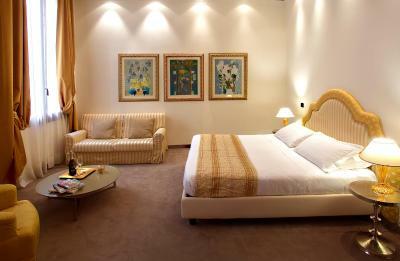 Pleasantly large room with comfortable bed and seating area. Grand canal visible from the balcony. Quiet area. 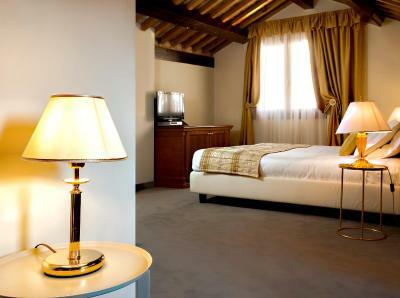 Great view of the Grand Canal, walking distance to the vaporetto, beautiful modern room, huge bath, excellent breakfast. Staff very, very helpful with directions and suggestions. Small but very clean and the staff was helpful. No shades in the bathroom and it overlooked a street. But overall a good experience. Everyone there was amazing! Our room was large, clean, comfortable, and pretty. The location was great for us! Just minutes away from everything yet in a quiet area. 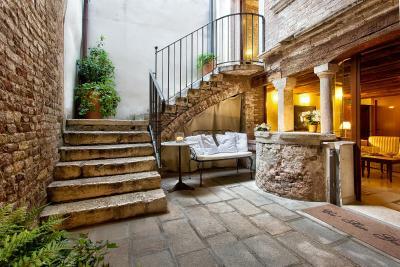 If I’m ever in Venice again, I would stay here!!! 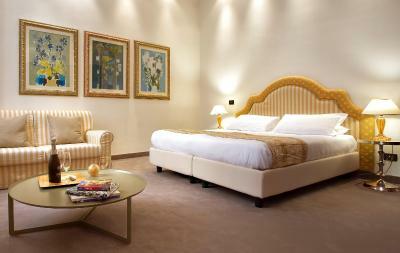 Beautiful facilities, room was excellent. Highly recommend staying here. The place itself was amazing. 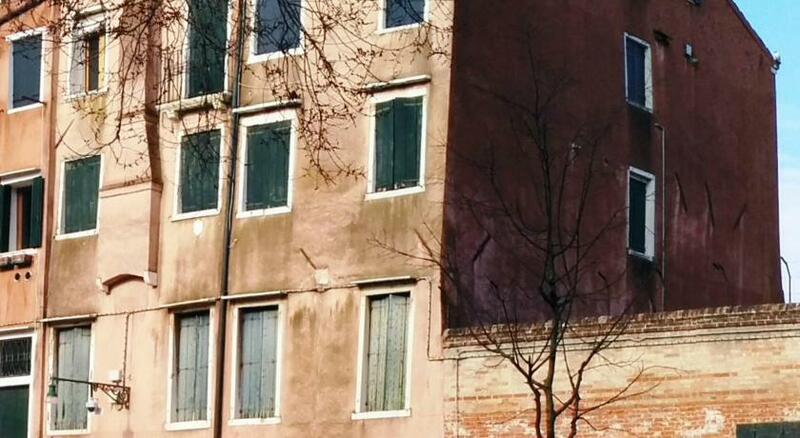 Built in the 1500's you'd expect Casanova to climb in a window at any time. The location was perfect for us. About midway between the extremely congested San Marco and the train station on the other side. Beautifully maintained building. 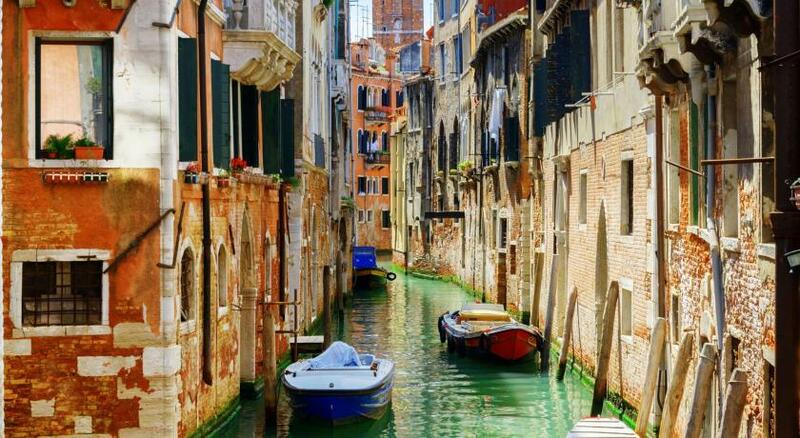 If you want the Venice experience, this is it. 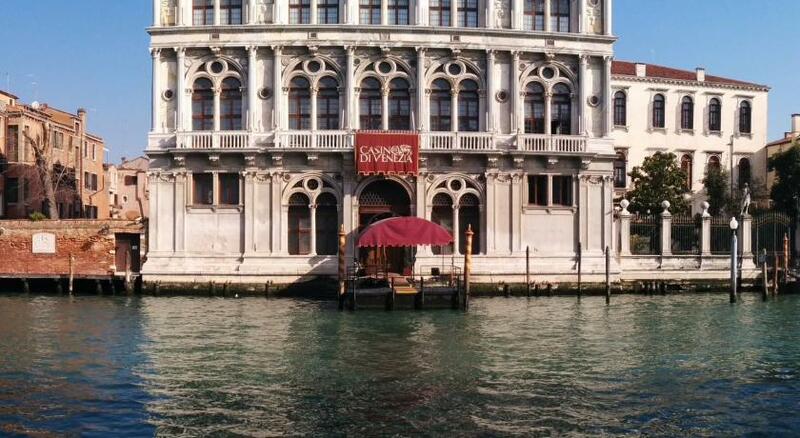 We absolutely loved this boutique hotel very close to the Grand Canal. We had a triple room since we had our grandson with us. 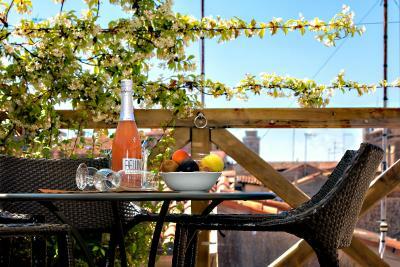 Next time we will take one of their elegant doubles, or perhaps the suite with a roof top terrace! Definitely going back. 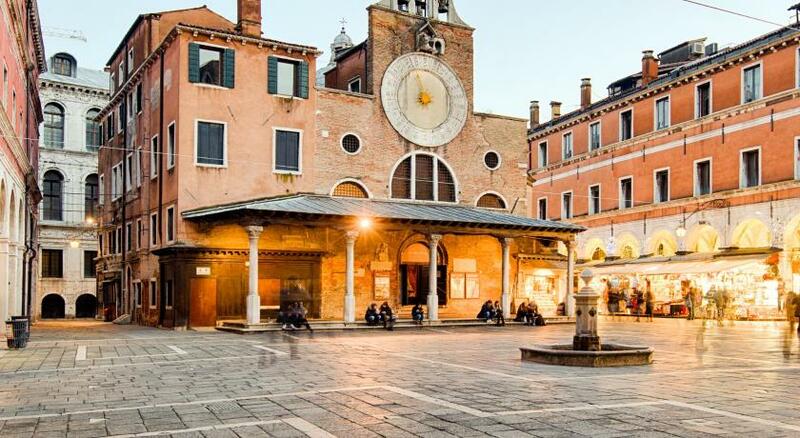 One of our top picks in Venice.Ca’ San Giorgio is a Gothic building in Venice historical center, a 5-minute walk from Santa Lucia Train Station. 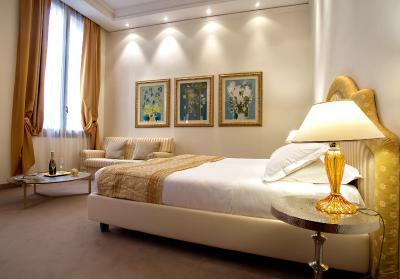 It offers elegant and bright air-conditioned rooms with refined details and free Wi-Fi access. 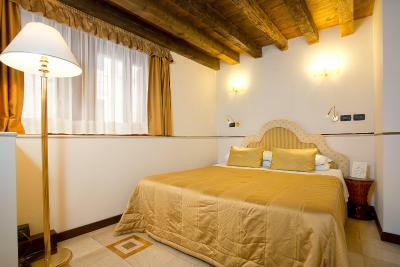 Accommodations at San Giorgio comes with satellite TV and a mini-bar. 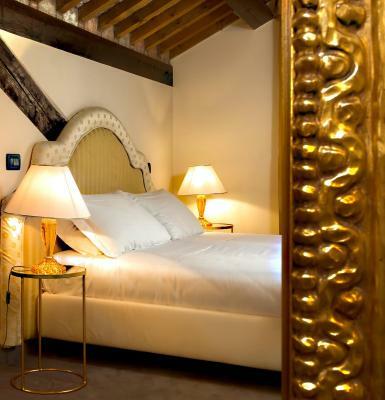 Each room has light color and antique furniture, and some also feature very characteristic wood-beamed ceilings or a small balcony with partial views of Canal Grande. 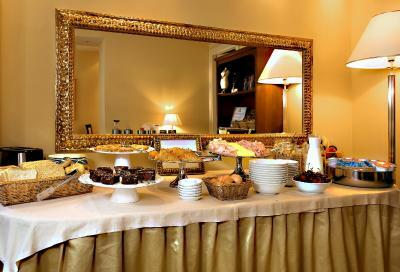 At breakfast, guests can enjoy a rich buffet that includes both savory and sweet food. 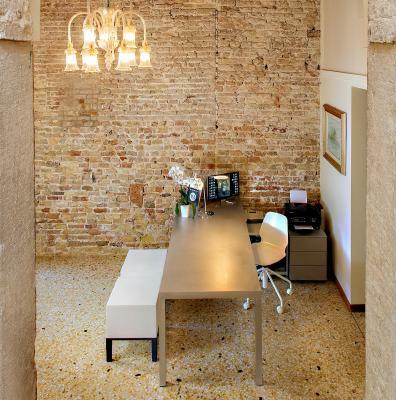 This historic property features a small internal courtyard with a 14th-century well. 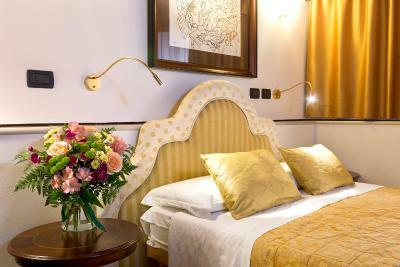 Rialto bridge is a 10-minute walk away, while St Mark’s Square can be reached on foot in 20 minutes. 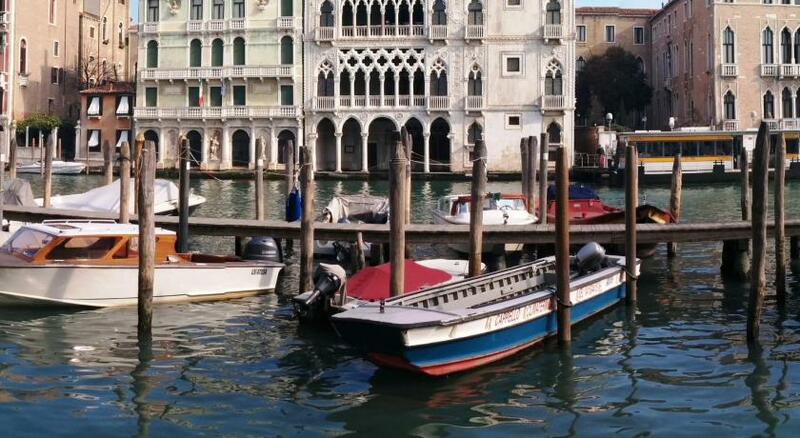 The Riva di Biasio water bus stop is located a 5-minute walk away. 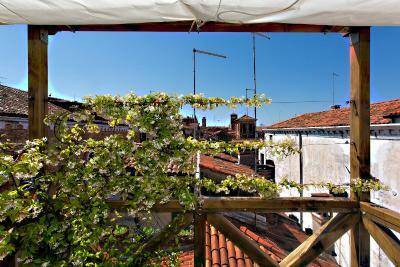 When would you like to stay at Ca' San Giorgio B&B? 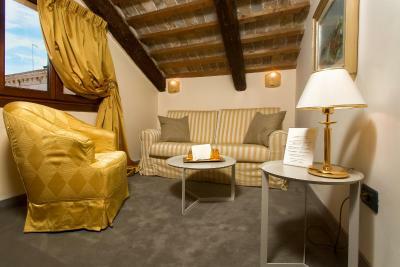 Air-conditioned room with satellite TV and a private bathroom. 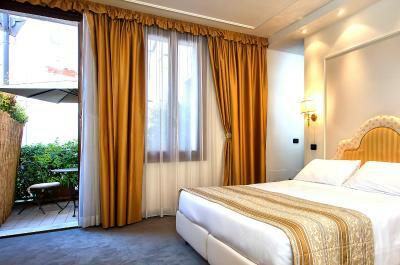 It has either a double or large double bed, depending on availability. 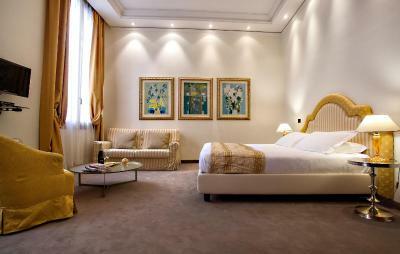 Spacious room with a small living area. 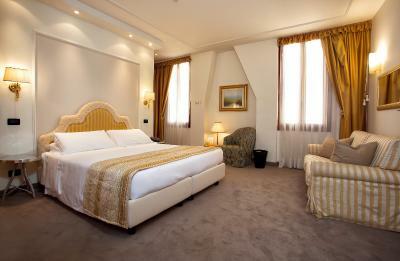 Spacious junior suite with a terrace or balcony. 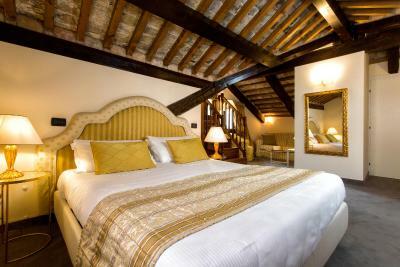 Featuring wood-beamed ceilings, this room is located on the ground floor and offers air conditioning and a mini-bar. 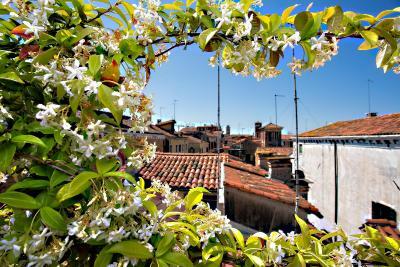 House Rules Ca' San Giorgio B&B takes special requests – add in the next step! 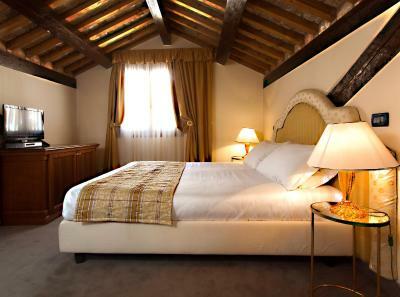 Ca&#39; San Giorgio B&amp;B accepts these cards and reserves the right to temporarily hold an amount prior to arrival. 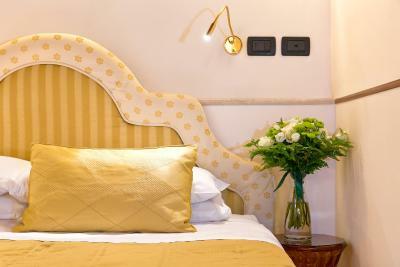 Ca' San Giorgio B&B accepts these cards and reserves the right to temporarily hold an amount prior to arrival. Please let the property know in advance if you plan on arriving before or after check-in hours. The property is near the Natural History Museum. 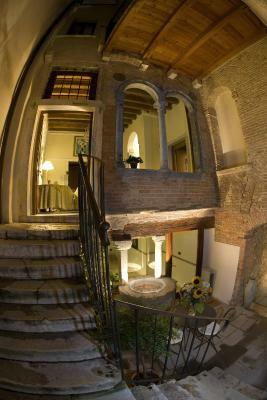 Once at the museum, walk towards the canal and you will find the bed and breakfast on your left, building number 1725. 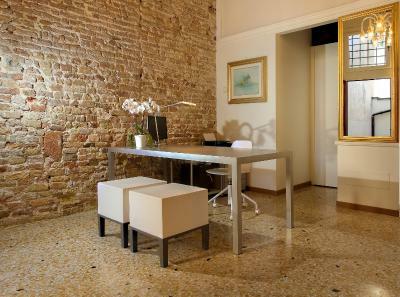 Please inform Ca' San Giorgio B&B of your expected arrival time in advance. You can use the Special Requests box when booking, or contact the property directly using the contact details in your confirmation. Great facility, great staff, and great food. Some hooks for towels in the bathroom and a mirror in the bedroom. Beautiful, beautiful room. Friendly and helpful staff. 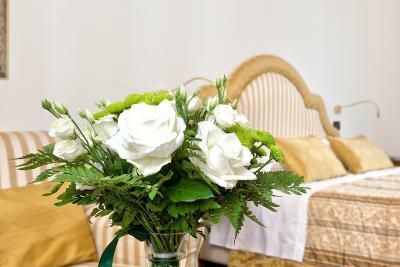 Excellent service....beautiful accommodation..very good location. Everybody was so very helpful and when our flight was cancelled everybody put themselves out to help. Breakfast was lovely and fresh. We loved everything. But it would helped to have given us clearer (bigger) maps to navigate with. We spent a lot of time getting lost bc Google map is quite useless here. Just a suggestion! The staff - Annalisa and Barbara - were always smiley and helpful. The room and b&b were fabulous. Beautiful and elegant. Nothing, maybe a little bit hard beds but overall it was amazing lovely place. 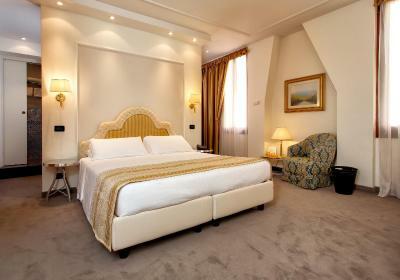 Big rooms with great facilities and super comfy beds. 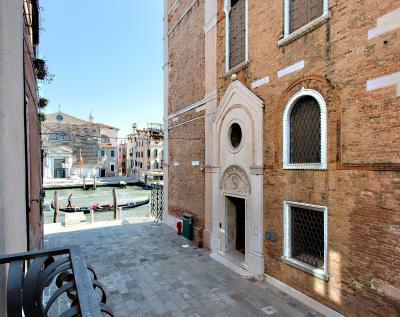 Lovely quiet location but just a short walk to Rialto bridge. Staff were amazingly helpful. Pillows a little hard. Coffee could have been warmer at breakfast. Very friendly, accommodating and helpful staff. Super location and atmospheric building. Room/suite perfect size and very comfortable. Great breakfast and excellent local restaurant recommendations. Very minor suggestions - a magnifying mirror would be a bonus in the bathroom and some English language TV channels would be great (or maybe we just couldn't find them). 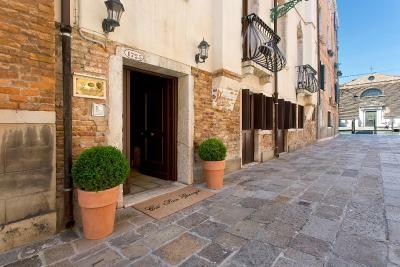 This is a small, utterly charming hideaway hotel in a quiet street just off the Grand Canal. It was wonderfully peaceful. 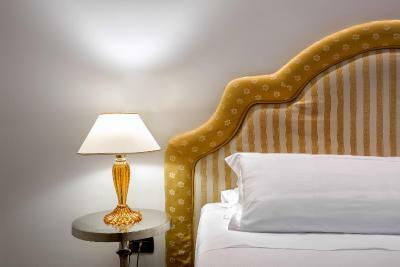 The rooms are very comfortable, with great bathrooms, a safe, fridge, TV and good lighting. The staff are helpful and friendly and the coffee is quite wonderful (they also cater for those who prefer soya milk). The neighbourhood has a few great bars (mainly full of locals) and some very good restaurants. 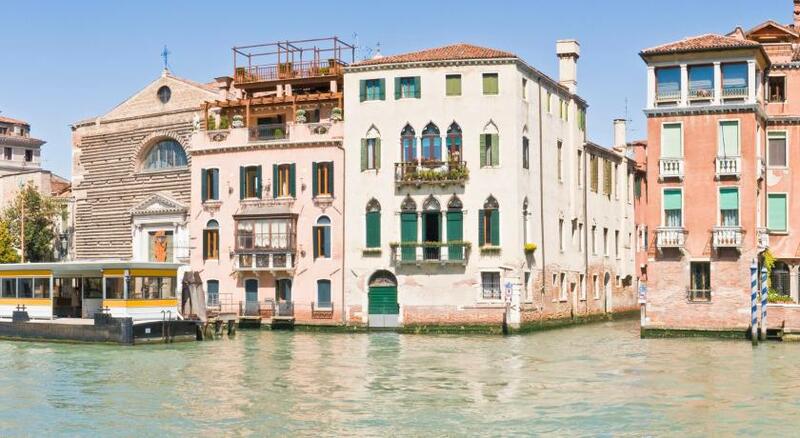 Transport is easy, with the nearest vaporetto stop a mere 5 minutes walk and the station only 10 minutes walk away. The 9 bedrooms are quirky and each different in layout and character (I looked at all of them). One of the nicest small hotels I have come across. A wonderful place where I'll be glad to return. 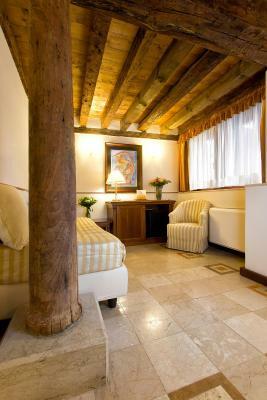 The staff was very nice and the rooms were comfortable and silent even so close to central Venice.